*UPDATE: As of June 17 two classes are full: Beyond Pie and Moroccan Memories. We plan to add additional classes for both themes. 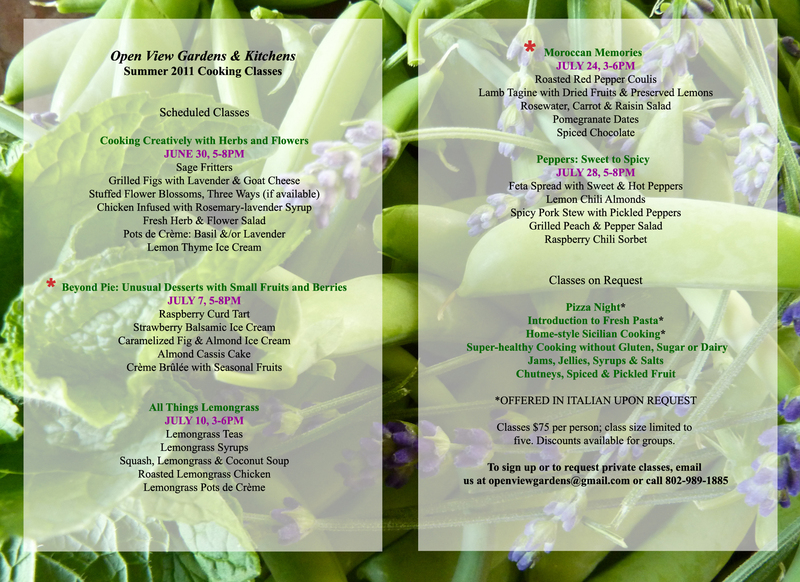 If you would like to be added to the waitlist or to be notified of new sessions, email us at openviewgardens@gmail.com. Download the pdf. version here to see a full-size flyer. Email us at openviewgardens@gmail.com to sign up or for more information.